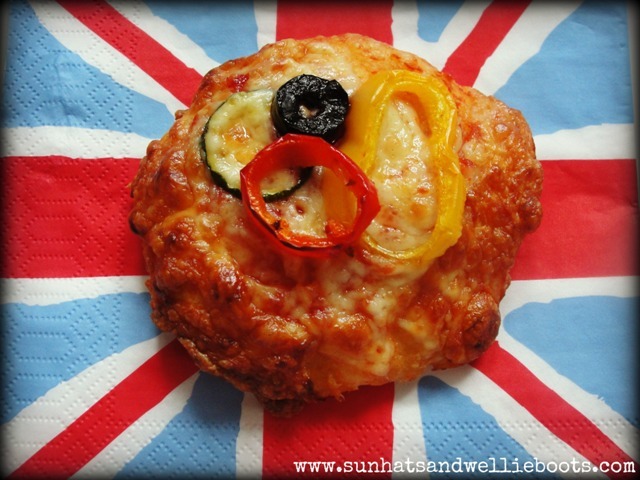 These scone based pizzas are easy & quick to make, & perfect for a sports themed picnic or a healthy lunch. 1. Sieve the flour & baking powder. Rub in the margarine to form a bread crumb consistency. 2. 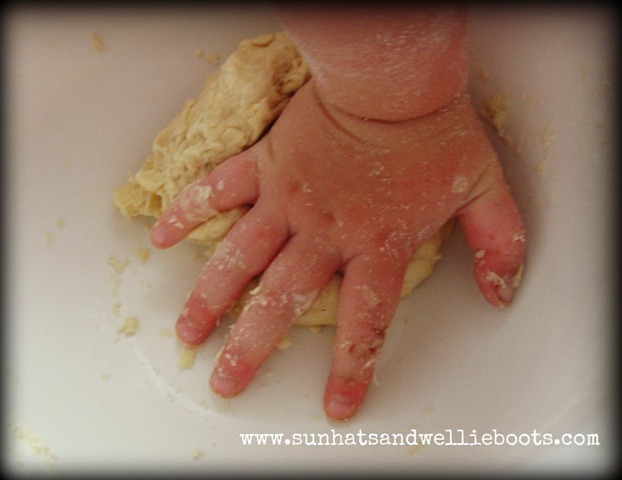 Slowly add the milk to the dry ingredients & mix with your hands to form a dough. 3. 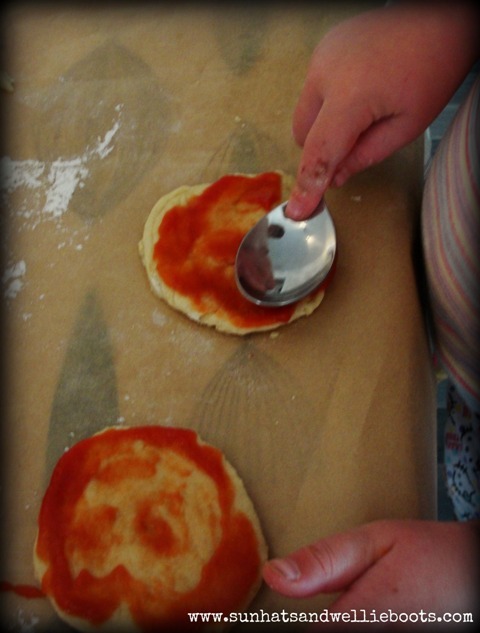 Separate the dough into six equal balls & flatten to create round dough bases. 4. 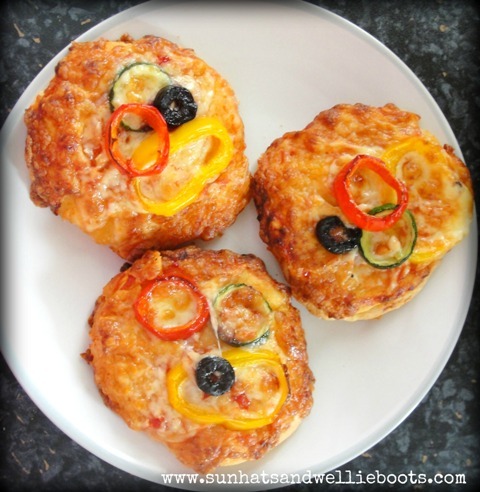 Spread a teaspoon of tomato ketchup onto each pizza base & then sprinkle over a covering of grated cheese. 5. 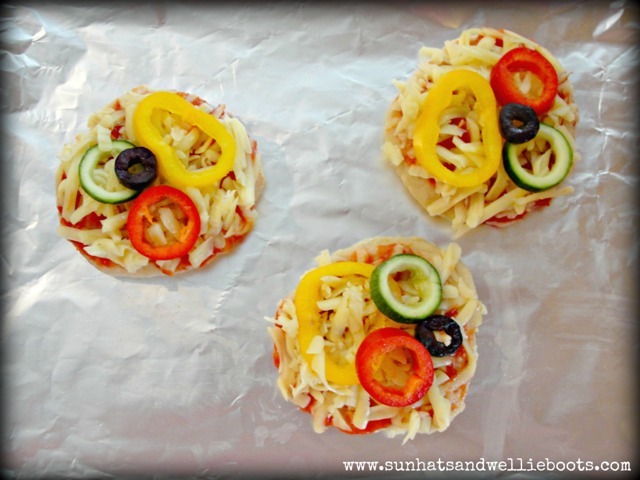 Cut the peppers, courgettes, & olives into rounds (to represent the Olympic rings) & decorate your pizzas. 6. Place on a baking sheet & bake at 180˚C for 12-15mins (or until the cheese is golden). 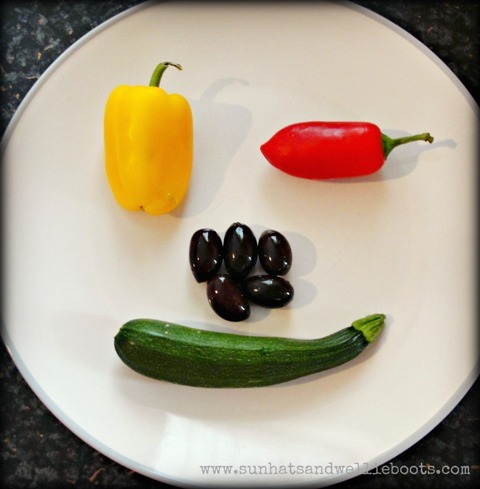 Enjoy with a fresh salad or just as they are.